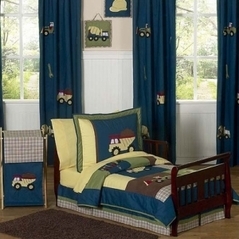 Imagine a prehistoric world where the titanic likes of T-Rex and his buddy Triceratops are roaming the earth. 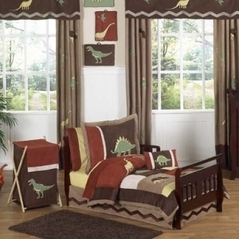 With these colorful and bold Dinosaur Toddler Bedding sets your child's room will instantly become a world of adventure and fun. 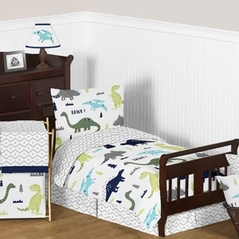 From stegosaurus to brontosaurus these Dinosaur Toddler Bedding designs will not only add zest and style to your room but also give you an opportunity to educate your child. 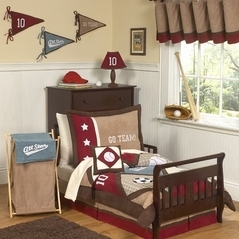 And with Beyond Bedding's quality guarantee you can rest assured that your bedding set will be constructed with the care that your child deserves. 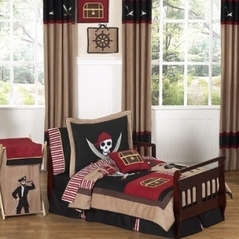 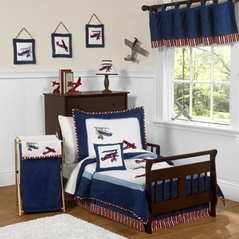 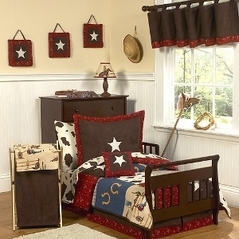 Please check out our Jungle Toddler Bedding section and our wild west themed Cowboy Toddler Bedding section for more great adventure inspired bedding sets!